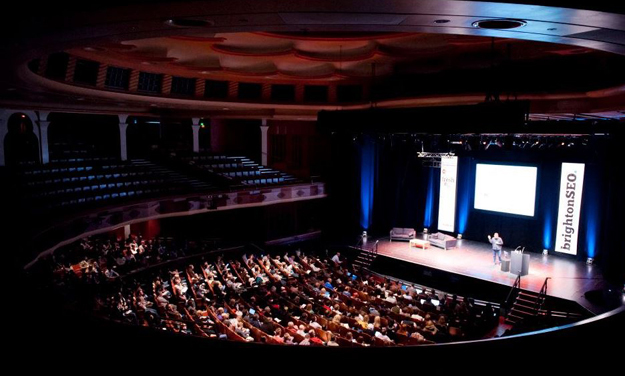 What I Learnt from #Brightonseo – Do links still matter? Last Thursday I headed down to Brighton with the HeadRed SEO girls for my very first Brighton SEO conference. Getting up at 5 in the morning was a struggle and after a 4 hour drive, we finally made it to Brighton! A week has already been and gone since we were there but what learnt from the day is still very fresh in my mind. With recent news surrounding link building being dead, I was especially looking forward to seeing what Stacey Cavanagh had to say on the matter. Straight away Stacey confessed her love for links; links are still important but it’s now more about doing stuff that lands us links! Constantly thinking of new content ideas is easier said than done, i was interested to hear Stacey’s suggested process of idea generation by Bernd Rohrbach. 108 ideas in 30 minutes is a 6-3-5 method of brainwriting. All you need is 6 people, a simple worksheet, 30 minutes and a problem statement to get the ideas flowing. Each person is required to write down 3 ideas in 5 minutes and then to pass their worksheet to the left. With the new worksheet passed to you, you then write 3 ideas inspired by the ideas already written on the sheet and this is repeated 6 times resulting in 108 ideas. There are other ways to come up with creative ideas too. I find verbal brainstorming with the girls in my team to be very effective, along with crowdsourcing ideas and solo ideation sessions, which were also suggested by Stacey Kavanagh. Lots of ideas will be generated from these sessions but only a few will be used but this is fine. The next key area Stacey suggests to concentrate on is asset generation. Firstly make thorough audits of existing assets. Asking clients for images is also very important; image attribution building isn’t new but is still very effective. Stacey also suggested we share images on Flickr under creative commons and tell people how to attribute. Sharing images on Flickr is something i haven’t explored in the past but plan to start doing in the future. It was also interesting to hear what Stacey had to say about creating stories from surveys as this is something we had discussed in our team. Getting into the mind set of considering offline content will help you land links, a recent example of this is David Moyes statue erected outside Liverpool’s Anfield by Paddy Power! The Irish bookmaker, Paddy Power received lots link worthy attention through this story. Instead of just emailing, try picking up the phone and writing a letter to see if the response rates differ! DO Links Still Matter in 2014? Dixon Jones (Majestic SEO) also discussed links during his talk at Brighton SEO. Again, it was stated that of course links DO still matter. Matt Cutts 2012– Links will be present in the future, links are about affiliations and go deeper than just deciding if a page on a website is accurate. Matt Cutts 2014– Asked why isn’t Google building a search engine and replies saying Google has tried but it doesn’t work very well. Links are important in the context to where they are found. Searchmetrics also carried out a survey. They found that social factors are taking over, which are all links factors. Anchor text, links and partial anchor text and internal linking are still very important. Why do links still matter? The Royal family website ranks number 1 for the search term royal family even though it only has 13 backlinks! This shows that trust comes with content. Links lead to authority objects, companies are less likely to link to a bad website and more likely to link to a reputable one that knows what its talking about. This brings me on very nicely to Malcolm Coles talk on ‘How i Earned Loads of Links by Ignoring SEO’. This was the first talk i saw at this years Brighton SEO conference. Malcolm discussed with us the daily mails crazy content ideas that actually work! He suggested that tapping into news stories is a great way to earn links. Malcolm talked about the way he received international coverage from making a basic game. Malcolm also discussed the potential of quizzes which have the possibility of going viral! An example of the a successful quiz by Trinity Mirror is How Much are you hated by the Daily Mail? Headlines help to make interesting content. 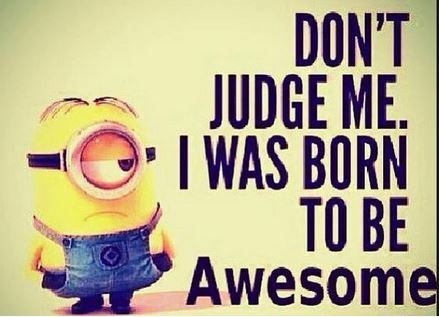 Stay away from swearing on content as people will be less likely to share it!